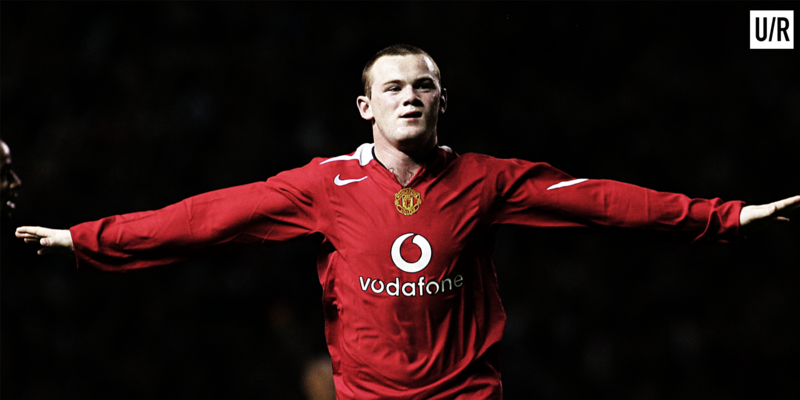 Wayne Rooney, the most talked about English footballer since his breakthrough at just 16 years old, has divided opinion for a long time amongst United supporters and football fans in general. One thing that is very difficult to get away from is the fact Rooney is both Manchester United and England’s all time record goalscorer. To score 252 goals (let’s hope he adds to those in the final few games this season!) for any club, never mind arguably the world’s biggest, is an unbelievable achievement. There is no doubt he has declined as a player from that explosive forward who regularly helped himself to all kinds of different goals, but maybe 15 years and counting at the very highest level of football takes its toll on your body. At just 16 years of age, he burst onto the scene for Everton with that wonder goal against David Seaman, and has gone on to have arguably the greatest career of any English footballer. He has played a major role in taking United past Liverpool onto 19 then 20 league titles, managing 5 in total in his time at the club. Add to that 1 Champions League trophy, 3 league cups, 1 FA cup and a Club World Cup, and you’re looking at a phenomenal career. Of course, in the England department, a major trophy is something that hasn’t been achieved since the only time back in 1966, but to score a record 53 goals for his country is remarkable once again. On top of all these honours, Rooney is currently captain of both his club and country, and for a young aspiring footballer, it really doesn’t get any bigger than that. Obviously people reading this will be thinking ‘yes but he’s way past it now’ and all the other negative comments Rooney receives, but at the end of the day a player of that quality for as long as he has been, deserves much more praise. Understandably, the transfer request saga in which Rooney performed a U turn eventually, and the falling out of favour with Sir Alex in 2013, does not sit well with any of us supporters. For me, a player with an attitude like his though, to give 110% every game for as long as he has, to be played out of position possibly hundreds of times to make way for the likes of Cristiano Ronaldo and Robin van Persie, gets my respect all day long. And even as recent his pre match news conference before the Europa League semi final, he stated he wants to remain at the club beyond the summer and spoke like a man 10 years younger still hungry to get himself in the starting 11. Personally, whatever wages he supposedly earns and the unfortunate decline in his form, can be overlooked because of the amount of time he has produced top level performances year after year for this wonderful club. Every fan will miss Rooney for many seasons to come because no one will come close to breaking his 252 goals for United for a long long time. Let’s hope he can lift the Europa League trophy to add another to his glittering career, providing we win in Stockholm on May 24th.